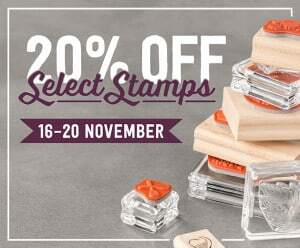 20% off Selected Stamps – 5 days only! Oooo, for the first time ever, Stampin’ Up! 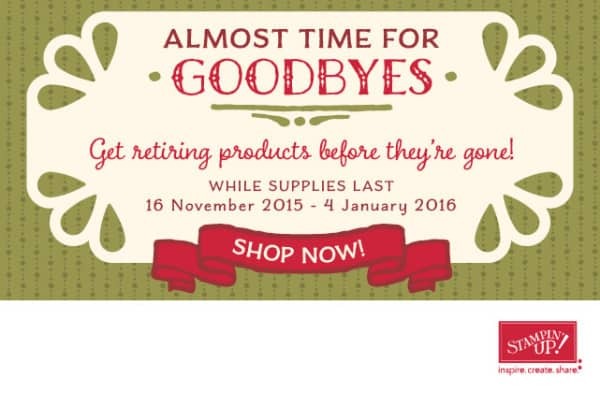 has announced a Retiring List for Seasonal Products. Available until January 4th, these are a While Stocks Last thing. So although the list will be up until January 4th, when they’re gone, they’re gone. The Witching Decor set has already sold out!!! So don’t hang about, the link to the shop is HERE. Don't forget the HUGE GIVEAWAY for November. Here's the details...! having side-effects , other people could take a signal. Will probably be back to get more.